First notes about woman in Croatian history are mentioned by Porfirogenet Constantine VII (Porphyrogenitus) (959). 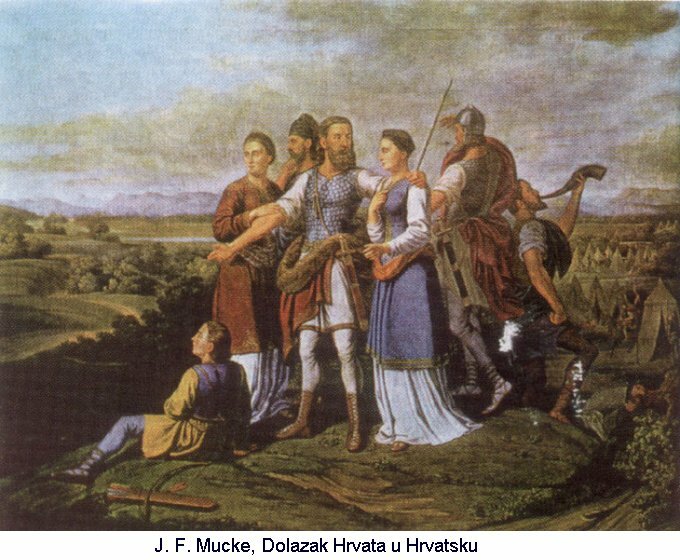 Croats, on their way to homeland were escorted by five brothers and two sisters Tuga (Sorrow) and Buga. But looking at the medieval, women were often accused for heresy, sorcery, witchcraft saying they were a witch. 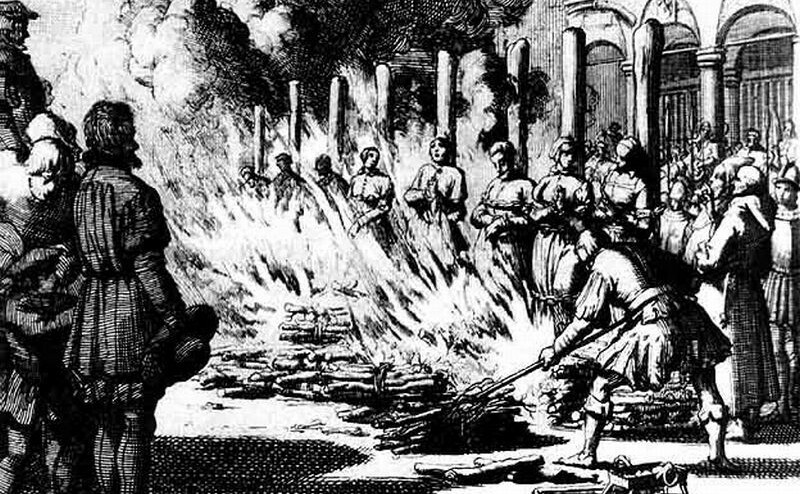 True, from Croatian medieval period, only one inquisition procedure was taken against women, from Šibenik, Mrna and Dobra. According to the paper, Dobra, common citizen, was a little too close to local noble man Drago Draginićim, with help of witchcraft of her mother, Mrna and herself. Yes, she enchanted him. But, procedure had happy ending. On August 19th 1443, city policeman Zanino is informing inquisitor that night before two ladies had escaped J.Don’t you love happy endings? 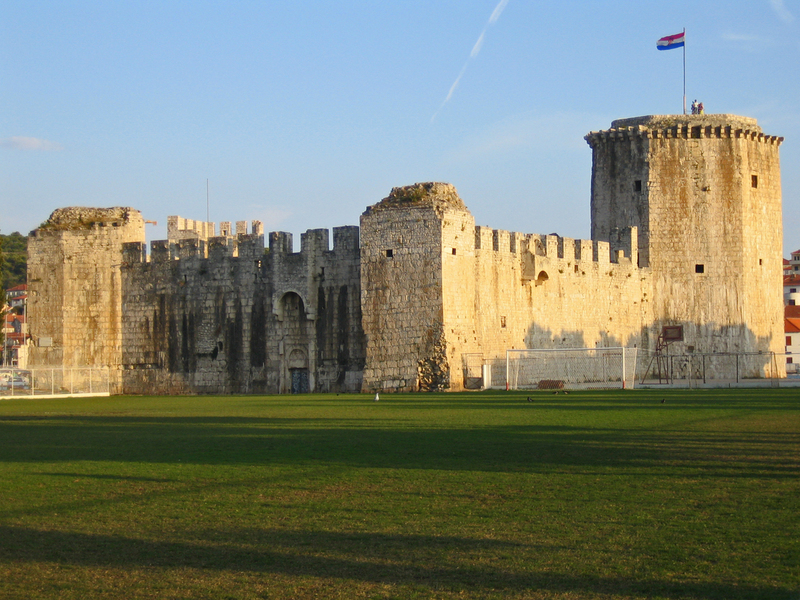 There is also one interesting legend in history of Trogir, 500 years old. Three sisters from Paittoni family were famous for their beauty (must have been witches), but also of hedonistic parties with young nobles (common in Croatian history). On the Shrove Tuesday they were dancing with masks on their faces until late in the night. They wait for the midnight with their masks on their faces (Guard warned the crowd to stop dancing and to start praying) and Lent came. The party had to be finished, but sisters didn’t feel like going home. Their punishment was severe. Omnius cloud loomed over the city, sea rumbled from the deep, unseen storm swept out the town. Black masks became glued to their faces. In a panic, they ran into a church to pray and confess. Whole town together with three sisters prayed for forgiveness of their sins until finally masks fell from their faces. In memory of these sinners, cathedral bells announce the Lent every Shrove Tuesday at midnight. They are called sad bells or bells of warning. Bells were also ringing because of the belief that strong sound would disperse grey, storm-bringing clouds. Locals from Trogir villages are still clapping when there is storm and strong thunder, for the very same reason. Sometimes, they also rang to send away the devils, witches and other evil forces. In the past, every church had its own bell-ringer. Today, only small villages have them, even that tradition is disappearing as well. Another interesting legend comes from Trogir area. Trogir is also well-known for its traditional cookies called Trogir’s rafioli. 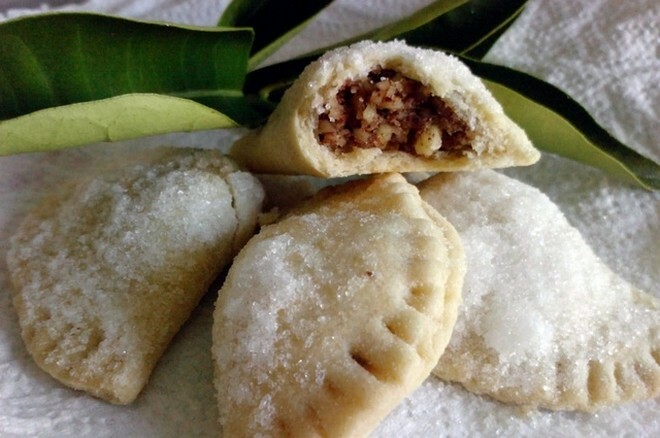 According to the legend, a girl, named Rafiola was the first who baked them. Evil enemies imprisoned her in the Kamerlengo tower in Trogir. She was patiently waiting for her sweetheart and spending all the time baking delicious cookies. 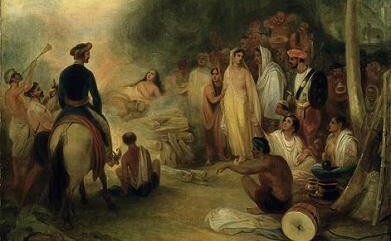 The young noble free the girl and brought her to his home where she kept baking rafioli for him till end of their lives. Another legend is connected with Kamerlengo tower. 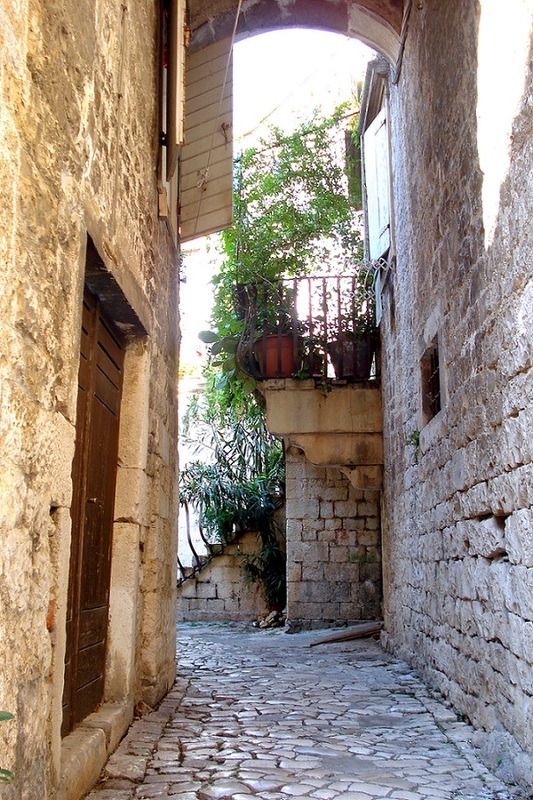 Legend says: After the victory of the Venetians, they established their goverment in Trogir. On the high honor as the guardian of Fort was set a young nobleman Diego Morin, Venetian. Diego fell in love with young Trogir’s plebeian Zora Dragaceva. His parents could not get over class differences, so they destroyed their love and married him for a young noblegirl Orsola, also Venetian and also rich like Diego. Wedding was celebrated by Venetian politics circle and talked about it for a very long time. Diego never forgot Zora. On Diego’s wedding night, Zora wore a wedding dress, lay in a bed made of rose petals and drank poison. When he heard of Zora’s death, he moved to Trogir. Later, his wife came to him and bore him beautiful but sick daughter, little Diana. Diana likes to spend time with father, so she spend the most of the time in Fort Kamerlengo. Residents of Trogir often spoke that Diana looks the same as Zora, so Orsola hated her daughter and left Diana and Diego. Diana often spoke about her dreams. In her dreams she saw the city covered with rose petals and death of young women. Shortly after Diana died. Legend says that Diego never spoke again. From all of this, we can definitely say, that being a woman brings lots of stories and legends behind. *In the north of Croatia in Medjimurje there is an old custom on St. Lucy’s day on 13th December. A person wrapped in a sheet, called Baba Luca or Crna Luca (Old Luca or Black Luca), goes around the village frightening bad village children and threatening to eat them or to put out their eyes. With the arrival of Christianity this pagan winter goddess was pronounced to be a witch. So then it was the custom to make a wooden stool with three legs, the so-called ”Lucy’s chair”, in the period between St. Lucy’s day and Christmas. On midnight service the owner of the chair could climb on it and recognize witches from the village. 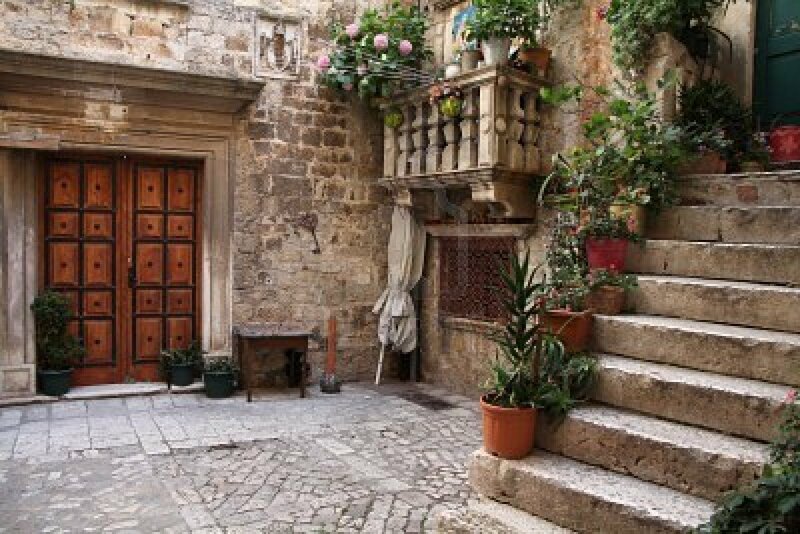 Baba Luca and Crna Luca (Black Lucy) are also called Drvarica (wood gatherer) or Sumarica (forest woman) so people used to buy wood on St Lucy’s day. A Christian legend from the 3rd century AD tells of a saint who was blinded because she accepted Christianity. It is no wonder then that during festivities in the honour of St Lucy, which is a combination of pre-Christian and Christian beliefs, light is celebrated and ritual candles and fires are lighted.